You know those weekends when not much gets done but it doesn't matter because that is just what was needed? That's how our weekend went—slow but perfect. It was however, not as enjoyable because our allergies were kicking in to high gear. Sunday afternoon was all about football and paper crafting. While the boys watched the game, my little C and I unraveled a paper storm in the studio. 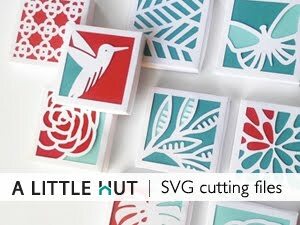 I hadn't really used my Cricut Expression in a long time but I simply couldn't resist the paper dolls cartridge that was on sale at the craft store (more about that below). I knew that my mini-me would love it and I was right. She dove right in and was cutting left and right. We haven't had girly-crafty fun like that in a while—it was perfect. She picked out all the colors, outfits and scenery, set up the pieces and asked me to take pictures of the final set up. 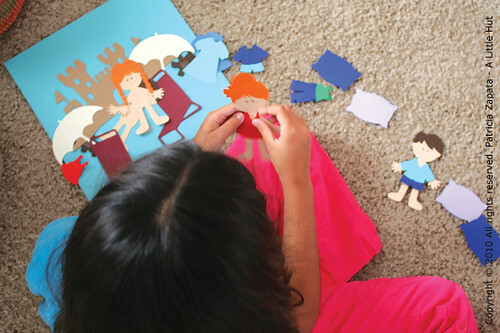 She really doesn't have any idea of what scrapbooking is all about so she was playing with them in the more traditional paper doll kind of way and having them "walk" around. By mid afternoon, half of the house was loud with the TV and the boys yelling at the players on the screen—and yelling at me to come over and watch some replay or another. The other half got really quiet. Little C had taken everything we had worked on to her room and I hadn't heard a peep for a while. I went in to check up on her and this is what I saw—and all I could make our were little whispers. I wish I knew what she was saying. I'll end this with a confession. I have a hard time working with machines like the Cricut because I feel like I should be able to come up with all these cut outs on my own. 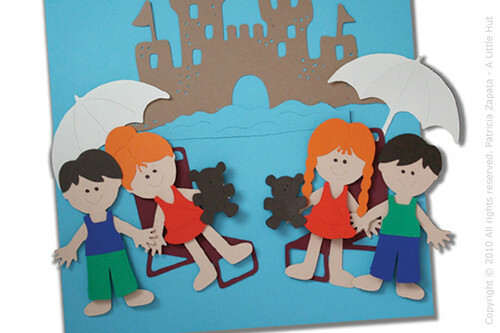 I've been wanting to make my little C some paper dolls for a very, very long time. But I just never got around to working on them. When I saw that cartridge I knew the time had come. I had to just give up and buy it. It's been a painfully slow process, but I've come to realize that I don't need to be reinventing the wheel all the time. Sometimes it IS ok to give up on the desire to make everything myself, use what's available and just jump into the fun part of making something together. In this case it was totally worth it!